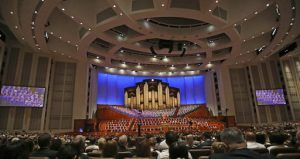 Nelson’s speech came after the church announced Friday that the famed Mormon Tabernacle Choir has been renamed the Tabernacle Choir at Temple Square. It’s the first big change since Nelson announced guidelines in August asking people to stop using previously accepted shorthand names. 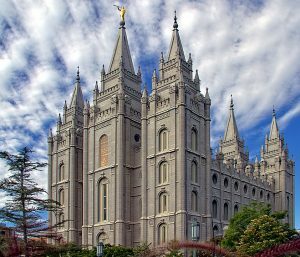 If people use Mormon to describe the church or its members, Nelson on Sunday urged adherents to “be courteous and patient” in their efforts to correct them. The faith believes that God revealed the full church name to founder Joseph Smith in 1838. 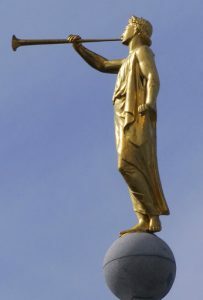 The term “Mormon” comes from the church’s signature scripture, the Book of Mormon, which followers believe is based on the record-keeping of an ancient prophet named Mormon. The entry about the church in the Associated Press Stylebook, which many news outlets follow, remains unchanged. The Holy No-See-Um has spoken. “Satan “sought to destroy the agency of man, which I, the Lord God, had given him.” .. oops. I thought Jesus had already triumphed over Satan. Silly me.